Jewelry shopping in India has been a traditional and emotional experience. From weddings to the birth of new ones, jewelry has been designed and bought to celebrate these auspicious occasions. While families in India have always had their favorite jeweler, motivating them to go online and experience the same kind of personalize experience can get very challenging. Mithun Sacheti, CEO and co-founder of CaratLane finished his undergrad studies is also a certified gemologist from the Gemmological Institute of America, California (GIA). His passion for jewelry and all things diamond drove him to set up his first store (for Jaipur Gems), just a few days after his return! After overseeing Jaipur Gem’s expansion into South India, including into Chennai and Coimbatore, Mithun headed towards e-commerce. With Srinivasa Gopalan, Mithun started CaratLane.com in 2007, with the site going live in 2008. Mithun told Entrepreneur India that the modern day women aren’t hesitant to explore the online space if the design there matches their requirements. Jewelry purchases were traditionally done offline, companies like yours have changed the notion. What is the strategy behind bringing traditional shoppers come online? Before we started CaratLane, we spoke to dozens of women across India. We asked them about their evolving tastes, lifestyles and what was important to them. We discovered a strange paradox. Despite the importance of jewelry in their personal grooming and for their daily lifestyle needs, the jewelry that most women owned was clunky and unwearable on a daily basis. They were typically kept in lockers, where they were safe, but hardly ever used. It was this paradox that inspired us to start CaratLane. We wanted to design jewelry that would suit the lifestyle needs of today - jewelry that was beautiful, affordable, and wearable every day. In order to achieve our mission, we decided to set up our portal and sell jewelry online. This helped us address many barriers that traditional jewellers faced. For one, our customers could browse our jewelry and discover what they liked without having to come to a physical store. They could be at home, in office, on the road, or pretty much anywhere in the world. By not having to incur the expenses of setting up and running stores and by keeping minimal inventory, we were able to keep our costs low and pass on these discounts to our customers. Just how much? Up to 25%. A lot of people thought that people in India would never buy jewelry online. But the truth is that if you design great jewelry, enable a good experience of discovery online, and follow it up with great customer service, people are more than willing to buy jewelry online. We have had customers who have transacted with us as many as 25 times in a span of just 3 years. We introduced several innovations along the way to help address barriers and get more customers to experience our jewelry. The company allows customers to try at home and also has a virtual reality app to replace to get customers the touch and feel experience. The company today has 13 stores spread across Delhi, Mumbai, Bengaluru, Chennai, Hyderabad, Chandigarh and Pune to enable people who love our jewelry, but are hesitant to buy online to experience it at our stores. To cater to tech-savvy buyers, Tanishq, which operates under the brand Titan, bought a majority stake in CaratLane this year. 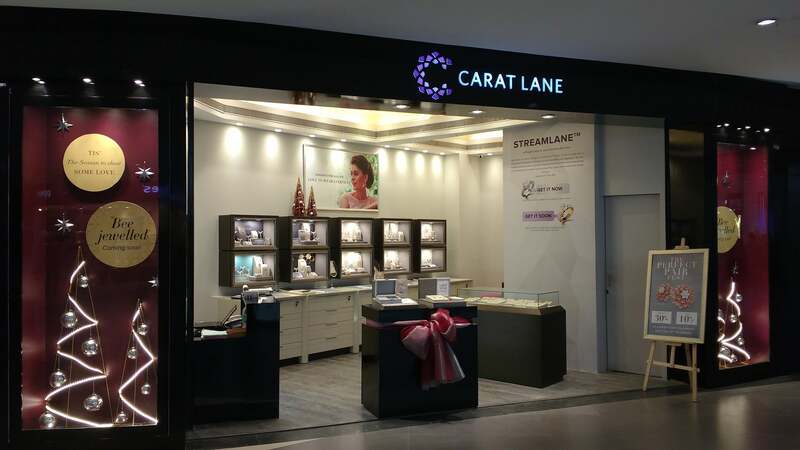 According to Mithun, Titan’s acquisition of CaratLane was primarily driven by two main factors – the shared vision of the companies and complementary expertise. Over time do you see more traditional jewelers come online and why? Yes. The Indian consumer today is spoilt for choices and it is increasingly important for brands to be where they are. That is why we have consciously adopted an omni-channel model and our aim is to be there wherever and whenever our customers want us. 80% of the people who walk into our stores or opted for a Try@Home service have interacted with us and browsed our jewelry online. After customers have experienced our service for the first time, they are more likely to come back and make a direct purchase online. These different facets of consumer behavior strengthen our belief that there are different channel needs that we have to fulfill for our customers at different stages of their relationship with us.